A useful infographic in English, Gujarati and Hindi can be found on our home page. When you receive your invitation letter for breast screening the first thing to do is to check whether or not it is convenient. If it is, make a note of the appointment time and date. Keep the letter in case you need to change the appointment in the future. If it’s not convenient, you should be able to either telephone or change the appointment by email. If your breasts are usually fairly tender you might consider taking a couple of paracetamol an hour or two before your appointment. While there does not seem to be any evidence to support the use of pain killers, many women report that taking paracetamol about an hour before their appointment is helpful. Don’t apply body lotion or creams on your breasts as this makes them slippery and difficult to compress in the mammogram machine. If you use talcum powder it’s a good idea not to apply it before your appointment as it can mimic certain types of calcification. Some deodorants have aluminium based complexes in their listed ingredients. These can also mimic calcifications. Therefore avoid using deodorant before your mammogram. If you have long hair, please bring a bobble or something to tie it back with. Try not to wear a dress. Since you will have to undress to your waist, a top with a skirt or trousers is much easier. Try to be on time or even slightly early for your appointment. The screening units run to a very tight schedule. If one person is late it can cause scheduling problems. If you are unavoidably late you may have to wait for a gap in the schedule to be fitted in. When you arrive at the screening unit you will be asked for your name. At some point, either in reception or the x-ray room you will be asked to confirm your name, date of birth and address. Other details of your medical history with regard to any breast problems will be checked and you will be asked about any previous mammograms.If you have breast implants or a pacemaker fitted it is vital to let the mammographers know. If there are any other medical problems you think we should know about these can be very useful as we don’t receive any medical history from your GP. For example, shoulder or back problems are important things to tell us about as these can affect how we position you.If you are aware of any rashes or soreness underneath your breasts, let us know so that extra care can be taken when the breast is being positioned. After we have checked your details you will be asked to undress to your waist in a cubicle or in the mammography room. Some units may provide gowns to wear but in others you can always put a jacket or cardigan on while you are waiting to be called through. The mammographer will again check your name and date of birth before she begins the mammogram (x-ray). You will have two x-rays taken on each breast. She will begin by doing two x-rays from top to bottom of your breast which are called the cranio-caudal views. Your breast will be placed on the machine and when it is in the correct position the mammographer will bring a perspex plate down to compress your breast. When the compression is tight enough she will go behind a screen and take an x-ray. The compression plate will immediately lift off and the procedure will then be repeated for the other breast. After this, the machine will be turned to an angle of around 50 degrees and two oblique (angled side) views will be taken. This involves leaning over onto the machine and lifting your arm over so that we can get right to the back of the breast and see the pectoral muscle on the image. This ensures we know that we have seen your entire breast, right to the back. The compression plate will again be brought down and the x- ray taken and the procedure then repeated for the other breast. After all four images have been taken, you are free to get dressed and go. You will receive a letter with your results within the next few weeks. Unless the unit is very busy, the whole procedure should take less than half an hour. Unlike other organs of the body our breasts are ‘mobile’. This means most of us can’t run down the road easily without the help of a bra, it’s the bra that supports our breast tissue. Similarly, whilst having the mammogram it is important for the mammographer to compress your breasts to reduce motion. It also reduces breast thickness which increases image quality. This also reduces radiation dose to the breast and separates the different components of the breast so it can be clearly visualised. Breast compression is applied to your breasts in a controlled manner. The mammographer controls both the speed and the force of the compression by the use of a foot control. A further control can be used to ‘fine tune’ the amount of compression. The mammographer will carefully judge the appropriate level of compression which is required. She will look and feel for the tautness (firmness of the skin). She will also keep a note of the numerical scale which indicates the amount of compression used. It is important to remember that you can speak to the mammographer and inform her if the compression is becoming too uncomfortable. Obviously, everyone experiences pain and discomfort differently. The compression can be uncomfortable and is sometimes described as being similar to having your blood pressure taken; the tightness increases gradually and is immediately released as soon as the image has taken. If at any point the examination feels painful you must inform the mammographer because she is able to fine tune the final compression. 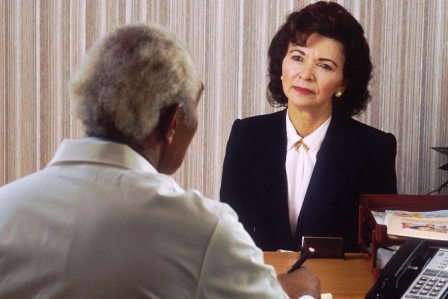 Mammographers are also trained to read non-verbal cues from the client that may indicate distress. It is important to remember that once the image has been taken the compression plate automatically lifts off, within seconds. Women attending for breast screening for the first time are usually anxious. Remember that you are an individual and your breasts are unique. Whilst the examination may be uncomfortable for some women, it is not the case for all. If you are unsure about anything regarding the examination you can always call the breast screening department for further clarification. Some women receive their invites at the wrong time for them, for example during their period, when their breasts are usually tender and more sensitive. If this is the case, call the screening office and request another suitable date. Your appointment can easily be offered to somebody else. When women have implants the whole of the breast cannot be seen on the mammogram but great care is taken to include as much of the breast tissue as possible and the mammographer performs a slightly different technique in order to do this. Minimal compression is also applied to minimise chance risk of rupture of the implant. Therefore, if you have had implants it is extremely important to inform the mammographer before the procedure. It is important to understand that mammography does not asses the quality or status of the implant. You will be advised and usually requested to sign a form which states that you have understood all the risks and difficulties of imaging augmented breasts prior to having your mammogram. 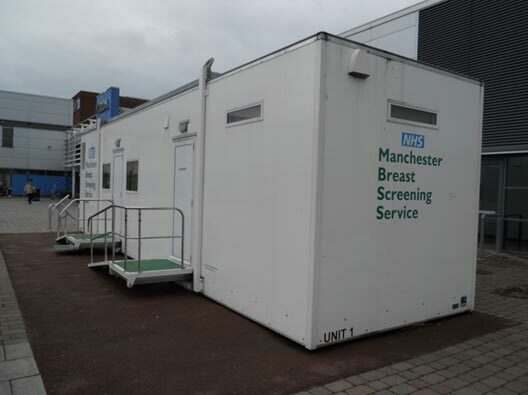 If you are unsure with any aspects of the examination you may call the breast screening service for further clarification. If English is not your first language, it shouldn’t be a barrier to you attending for a mammogram. The NHSBSP provides a wealth of information in a number of languages on their web site. If you attend with a relative who can speak English they may be able to help translate for the initial appointment, sometimes additional identification may be required, such as a passport or driving license. You will be asked what your first language is so that if you are recalled for further tests a translator will be made available to you. If the relative or friend is male, they will not be allowed in the mammography room with you when you are imaged. Any official translator provided for you will be female. Whether you can hold on to something while the x-ray is being taken. Whether you want an ordinary chair to be provided so you can sit down for the x-ray. 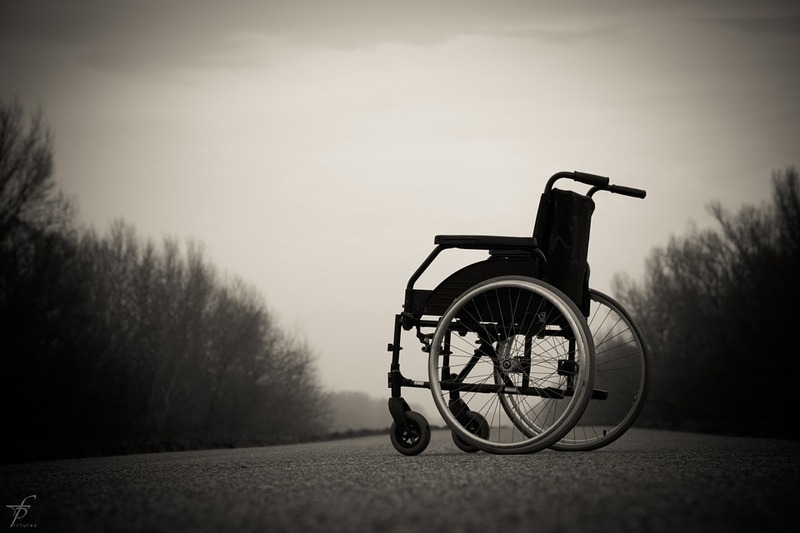 Whether a carer can help getting your wheelchair in the right position. Whether a carer can help the radiographer get your breasts in position (the carer would have to leave the room during the x-ray to avoid unnecessary radiation). Anything that might help you remain still. Any questions related to your impairment or condition and screening. If the appointment venue accessible? Many women are screened in mobile units close to their GP surgery which have steps at the entrance. 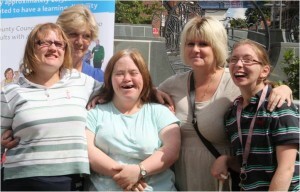 However, the unit can change the appointment to an accessible venue. For some disabled women, barriers make it impossible to get a good enough image of the breast to benefit from screening. The radiographer will make a judgement about this or you might come to that decision during the appointment. In this case, the radiographer might suggest that you are still invited to be screened in 3 years, the normal length of time between breast screening appointments. You can then decide if you feel you would like to try again and let the unit know. Details about breast screening can be difficult to take in and are even more complicated if you struggle to process information. Women should not miss out on the opportunity to have breast screening because they find the whole process too difficult to understand. Leicestershire Partnership NHS Trust has produced some excellent videos aimed at women with learning disabilities and their carers, which go through everything in detail. There are two videos: one for screening at a hospital and one for screening on a mobile van. Your breast tissue is sensitive to both handling and the pressure that is exerted on your breasts from the mammogram machine. Great care is taken by the mammographer but occasionally the breast can have heightened feelings of pain, skin reddening, tingling and bruising after the mammogram. This only happens in a small number of women but it can occasionally last for a few days. Compressing the breast tissue can occasionally lead to a small ‘tear’ in the skin underneath your breasts. Please alert the mammographer if you have skin problems (dry, irritated skin or an infection that looks like spots or a rash in the skin fold, also known as Intertrigo) which may increase your risk of having a skin tear. X-rays can rarely cause cancer and having mammograms every 3 years for your lifetime can only very slightly increase your chance of developing cancer. Rarely breast screening can miss a cancer; it does so in about 1 in 2,500 women screened. A mammographer is a qualified radiographer who has chosen to undertake further study to achieve the level of training required to be a mammographer. A radiographer studies a 3 year university course and graduates from university with a degree in Radiography. 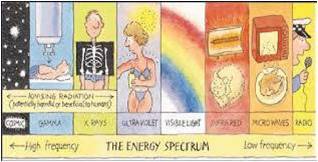 A radiographer therefore understands how radiation works on the body. She also has an in-depth knowledge of anatomy and how to produce the best image of specific body parts. After qualifying, there are options for radiographers to further their career. Mammography is one of the post graduate paths that female radiographers can go down. In the UK only female radiographers can perform screening mammograms. They undertake a 12 month post-graduate course in which they learn about the anatomy and physiology of the breast. They learn how to perform a mammogram. In doing this they learn positioning skills and communication skills. They also learn about the consequences for women when something abnormal is found. It is a specialised field of radiography that requires different skills to other areas. Your mammographer may also be an Assistant Practitioner who works in the breast screening service. They are trained to take the mammogram under the supervision of the specialist breast radiographer. Radiographers who specialise in breast imaging can also extend their role further. This might include film reading, performing biopsies, undertaking clinical breast examinations and breast ultrasound.